Our family's Seder was last night, a few days late to accommodate family from the DC and Boston areas. Last year I became interested in Sephardic cooking and decided to make a Sephardic Seder for Passover 2014. 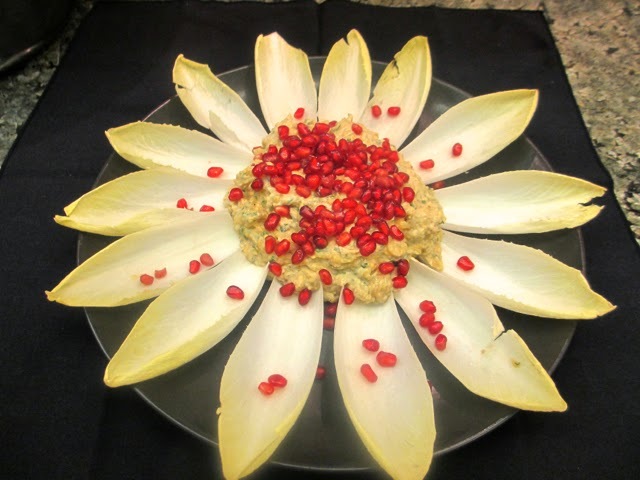 This tradition is quite different from the Eastern European Ashenizi for many reasons, but the most salient is that rice and lentils and other legumes are permitted during Passover. Based on the comments of the family, it was a success. 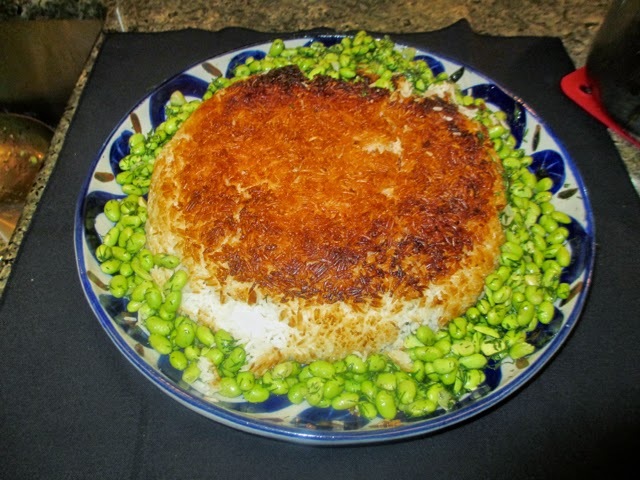 I was particularly proud of the Persian rice, one of the world's best dishes, which I nailed: a thick dark crust on the bottom with fluffy basmati rice on top. Some of the prettiest dishes are pictured below. The Sephardic Jews, who were expelled from Spain in 1492, settled around the Mediterranean Sea, largely in Turkey and Greece, and throughout the Middle East (via Morocco). Countries represented in our Seder menu included Syria (chicken and halvah), Turkey (zucchini pie), Morocco (lamb tagine, fava bean hummus), Persia (rice and edamame and dill), France (haroset, artichoke tapenade), Italy (veal meatballs), Spain and the Middle East generally (charred eggplant, watercress and chickpea soup, rice pudding). There is some controversy about the flourless orange cake, which does use baking powder. Perhaps surprisingly, the bulk of rabbinical opinion seems to be that baking powder can be Kosher for Passover if it is made with potato starch rather than forbidden corn starch. 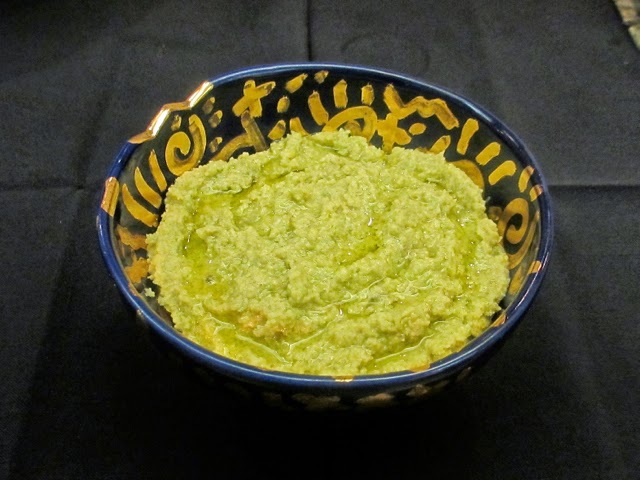 Since we were going Sephardic, where corn is permitted, I used the ordinary stuff, but this is a matter of choice. There is a downside to an all-Sephardic Seder, which is that certain classics are excluded, the most significant of which is matzoh ball soup. My sister-in-law's is the best (both the broth and the balls) so next year, while we will probably stay Sephardic, we will be making an exception for her soup. After all, what good are rules if they deprive you of great food?